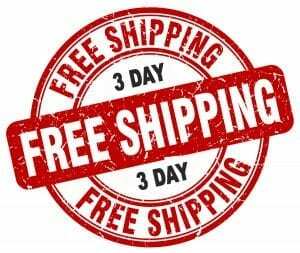 Free Shipping for Products Purchases Over $59 or only $7.95 Otherwise. Considering Corporate Gifting? Please click HERE! 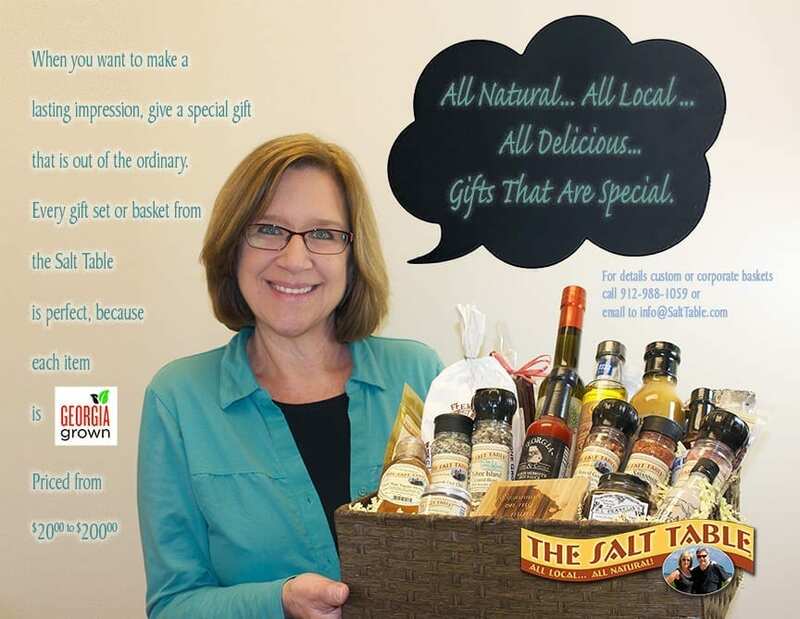 The Salt Table is proud to bring you these great collections designed to make giving that perfect gift extra easy! All of The Salt Table fine salts, seasonings, and other flavors are hand blended and packaged by Salt Table food artisans in Savannah and Pooler, Georgia. Our best sellers are our own recipes and nowhere else available! And, all are 100% natural and Georgia Grown®. Please Note: Baskets and boxes that are shipped may have additional packing material added to prevent breakage during shipping. 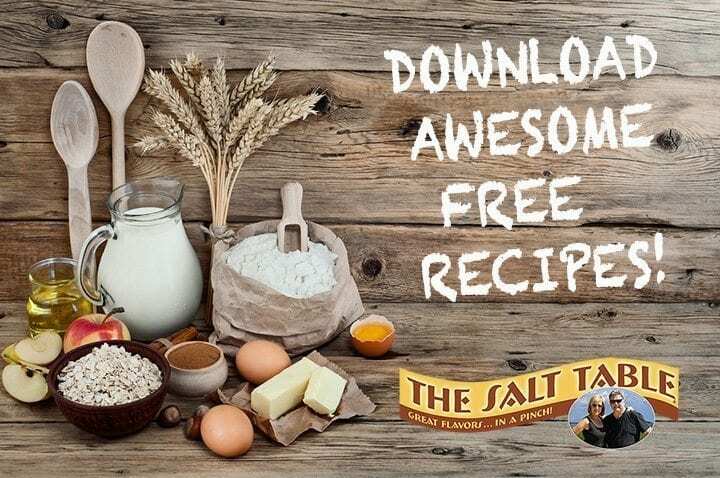 If someone you love loves to cook and loves to experiment with new ways to cook, then look no further! Here’s a great little gift idea! Popcorn, salt and chocolate in an attractive presentation. Great for stocking stuffers, teacher’s gift, or as a quick grab and go gift for any occasion. Grate your own salt??? Yes, indeed! This makes a great gift for anyone who loves salt! Here are 4 of our unique and most popular winter sugars in a clear gift bag with a bow. If you need a gift for a “sweets” lover, this little gift bag of natural infused sugars is perfect. Gift Set for Tea Lovers! Grilling Favorites in a gift box for anyone who loves the flavors of outdoor cooking!